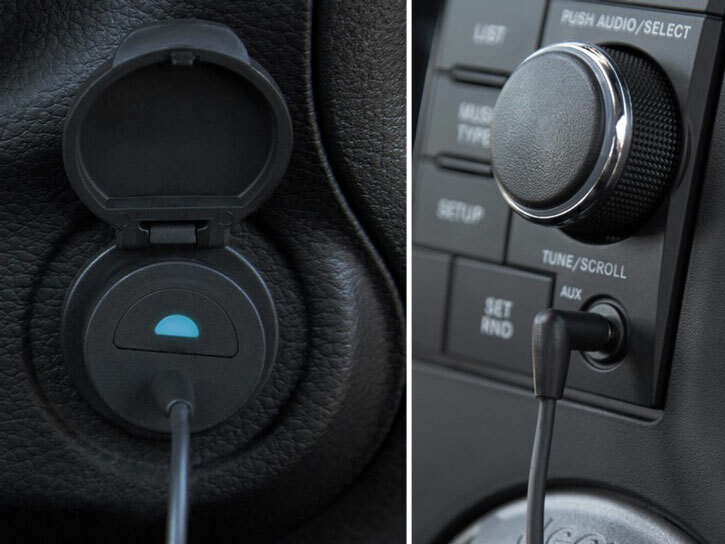 Add Bluetooth connectivity to your car stereo with the iTrip AUX adapater from Griffin. Pair any Bluetooth device and you'll be able to stream your entire music collection. Very Simple to plug in and connect. The plug is not bulky and does not get in the way. The one end of the aux cable is set at 90 degrees so again, this is less likely to get caught or knocked. My phone (Z5 compact) automatically connects when the ignition starts. If you switch to the radio though, it will continue to stay connected and the phone will continue to play music in the background. If you get a call, your car stereo will have to be in AUX mode to hear anything. This does just what I want it to do. The sound is clear. I have two 12v sockets in the centre console of my car so one is used for the bluetooth plug and the other is used for the phone charger and everything is tucked away nicely. This would get five stars if you were able to plug a usb charging cable into it to charge your phone at the same time. I trust Griffin as a product and have one of the headphone bluettooth adaptors too. I suppose you can get cheaper products of Ebay etc but you get what you pay for. Service as ever from Mobilefun is quick and hassle free. 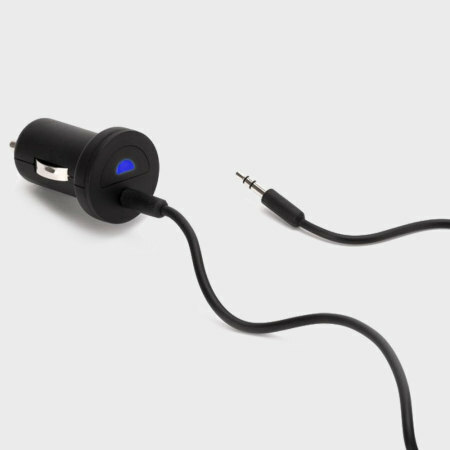 Perfect for those that do not already have Bluetooth installed in their car, simply plug the iTrip AUX Bluetooth adapter into your cars 12V port and the AUX cable into the stereo's aux-in port. Once connected, you'll be able to stream high quality audio through your car stereo. Using the Griffin iTrip AUX Bluetooth adapter, you'll be able to stream your entire music collection stored on your device. Furthermore, this iTrip also supports playback through music streaming services such as Spotify and Deezer. As the Griffin iTrip AUX supports the latest 'aptX' decoder, you'll be able to listen to your music in HD, as well as there being a decreased in the delay of your Bluetooth audio. Once you've paired your device the first time, the iTrip AUX Bluetooth will remember it for the next time, meaning it will be automatically connect every time you get into the car.